This week Instagram announced on its business blog that the business pages will be rolled out in the coming months. To be eligible for a business page you have to have a Facebook business page already set up and be posting regular content, meaning that notable personalities on Instagram may not have access to some of the more desirable features that the business tools offer. The business profiles will look almost identical to regular profiles with some small differences, such as the contact information featured in the image below. The business pages will launch with a suite of tools that will make it easy for brands and businesses to post updates, provide information and easily create ads from desktop as well as mobile. Instagram will launch insights as part of the suite of tools to help businesses post relevant and timely content based on their users demographic information. Like Facebook, businesses will be able to see which posts are resonating with their audiences, the best times to post, reach of a post, impressions and overall engagement metrics. Much like Instagram itself, the insights feature will be a mobile-first addition to the app, meaning that bigger businesses can track performance on the go, whereas smaller businesses can use it as the primary method of tracking performance. The ability to report on what is working is vital to any marketer, and it’s something that Facebook and Twitter do very well. Now that Facebook has a vested interest in Instagram, it only makes sense that they follow suit. Since Facebook’s acquisition of Instagram, the advertising and promotion offering have grown, with now over 200,000 active advertisers using Instagram ads. The new business tools will enhance the ad offering, meaning that businesses will be able to promote posts directly from the app similar to Facebook. Businesses will have the ability to pick targeting or have Instagram suggest targeting for them. When you have picked targeting and the post that you want, you can then choose the call to action to include in the post which can direct people to your website. Although the new ad tools will allow businesses to create and promote content with a few taps, there are trade-offs in using it instead of using a desktop service like the Facebook ads manager or the Power Editor. Although Instagram say that there will be an ability to use some of the advanced features of Facebook Power Editor such as saved and custom audiences through the app. For now, Instagram is rolling out business tools to selected users in America, Australia and New Zealand over the coming months, with a global rollout planned before the year’s end. 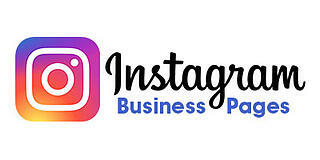 Instagram’s introduction of business pages is overdue, with businesses having to use somewhat unreliable third party tools to access any type of analytics relating to their profiles beforehand. With the new set of business tools, Instagram is giving businesses exactly what they have wanted since its inception, a reliable way to measure ROI from the platform. In addition to this, Instagram are also making ads easier to use. Will this mean that the number of adverts you see on Instagram will dramatically rise? We’d love to know your thoughts on the matter, so do get in touch with us on Facebook, Twitter, LinkedIn, and very soon, our Instagram business page.